Our world famous camp program is gearing up for another action packed season here in the Lone Star State! Whether you are stepping out into the skatepark for the first time or an avid shredder, we guarantee that after attending one of various camp sessions your skill set will improve tenfold. Our unique action sports facility is located in the heart of the DFW metroplex next to Lone Star Park in Grand Prairie, Texas. Campers will be able to ride their Skateboard, Scooter, BMX bike or Blades alongside expert instructors throughout the week to increase their capabilities in the park while making memories that will last a life time. 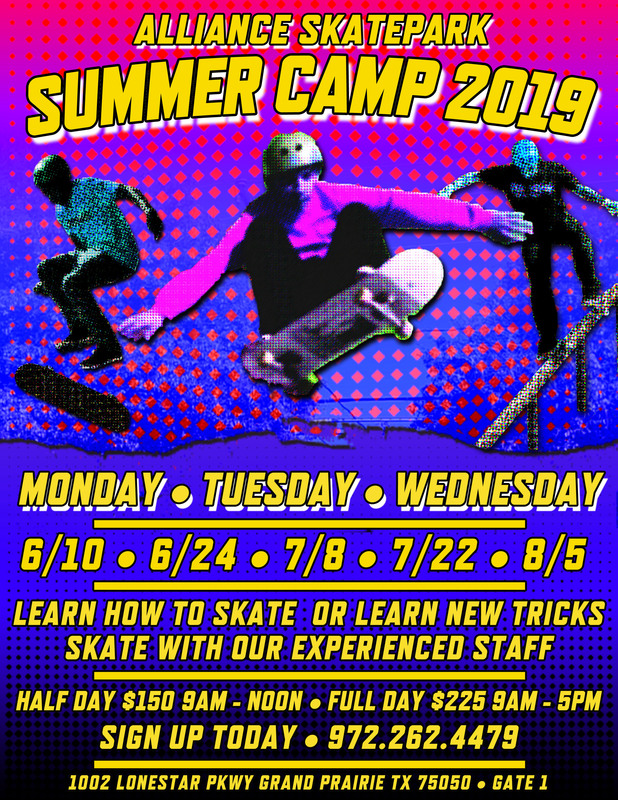 Our skate camp program welcomes all ages & skill levels for those hoping to make the most of their summer, so don’t wait – spots are filling up now, sign up today!